Despite its name, this is not a waltz tune! “The Zeak Waltz” is a hornpipe tune from Cornwall, the Celtic and most south-western part of England. It appears in Ralph Dunstan's 1929 The Cornish Song Book, where it is listed as “a march formerly very popular at outdoor Sunday school treats”; this association leads to the speculation that ‛Zeak’ might be short for Ezekiel. 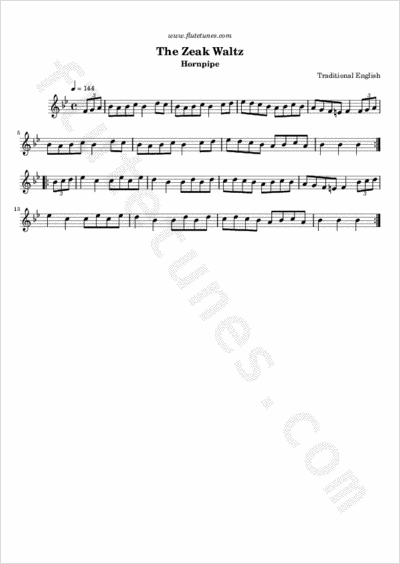 As with all hornpipes, this tune is commonly played with a swing on eighth notes.